We have all the seasonal decor you'll need! Our retail store featuring tons of gifts, handmade bows, poinsettias, ornaments and 8 fully decorated artificial trees! We have a variety of grave pillows, crosses, trees & wreaths available. Handmade, sturdy stand with water bowls available and installed. All you need to do is stand in your house! Your garden isn't complete without our quality topsoil and mushroom manure to add the right foundation to grow your plants & flowers and top it off with shredded hardwood mulch. Ask about our Gardener's Mix! Decorative stones add color to your garden and home. We have multiple options to fit your needs. There's nothing like planting a tree and watching it grow over the years. Find trees & shrubs of all types at our Nursery. Don't have the time or energy to work on your lawn? We take the hassle out of creating & maintaining the perfect lawn. Doing business since 1954, let us do business for you! Established in 1954, Joseph’s Nursery began and continues to be a family owned and operated business, local nursery and garden center, providing professional and personable landscaping, lawn care, snow removal, and nursery services throughout the Mon-Valley. We take pride in serving our community, which is why we specialize in landscaping and contracting for local homes, businesses, and the Mon-Valley Hospital. At our Nursery, you’ll find a wide variety of annuals, perennials, and seasonal flowers and plants, including flocked Christmas trees. We also have a gift shop with seasonally decorative items for each holiday. We have since expanded our inventory in the Nursery with a more diverse selection of plants, and gardening supplies. Joseph's Nursery and Garden Center strives to offer the best quality products and services. Recently, ownership has been passed on to the second and third generations of the family, carrying on the tradition of honest and reliable landscaping and garden service. At Joseph's Nursery & Garden Center, LLC, we take care to provide our customers high quality services personalized for their unique needs. Our staff members are professional, courteous and efficient. From lawn mowing to fertilization, we have the skills & experience to make your lawn beautiful. We have everything your garden needs, from mulch and topsoil to trees, shrubs, and flowers. "Never disappointed with my flock trees! Love the option of colors." "The Best Place for All Your Gardening Needs..Thanks Mr.J.."
Our garden center is stocked year round for all of your garden and landscaping needs. 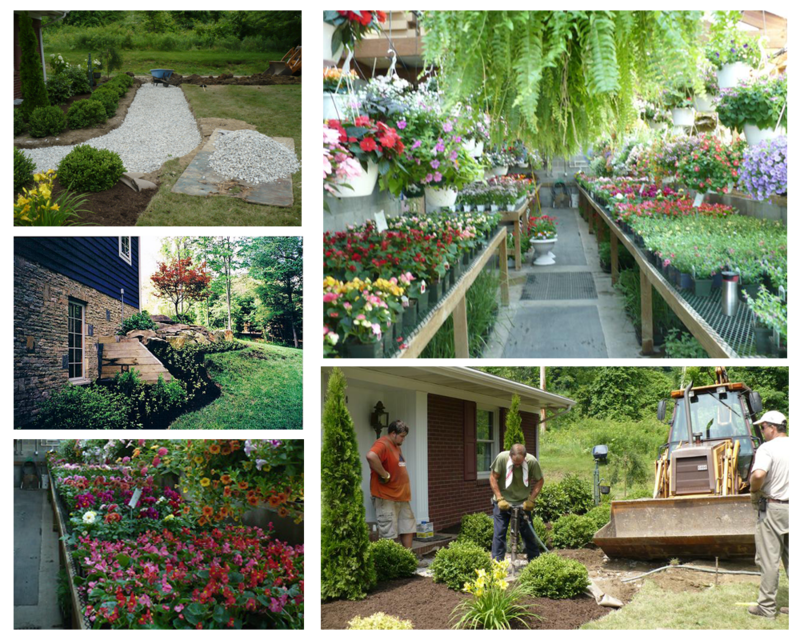 Joseph's provides beautiful landscapes at homes and businesses. With their 59 years of experience Joseph's knows just what it takes to make an eye catching landscape while providing the highest quality service.